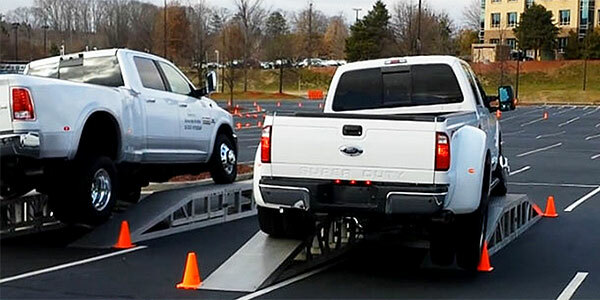 Although showing these independent truck frame twist test doesn't have any direct connection to towing capacities, we have noted elsewhere that some trucks have derated the conventional towing capacities significantly. Some have the opinion that the derating is related to the truck's frame. You may draw your own conclusions however you wish. We are not making any recommendations or suggesting any conclusions. 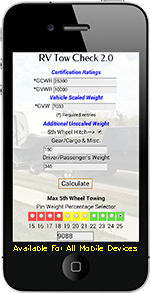 Your guide to matching any tow vehicle to any towable. The real salesperson fact checker. Occasionally, buyers learn that the trailer they purchased was too heavy for their tow vehicle. The time has come to prevent that... PERMANENTLY!